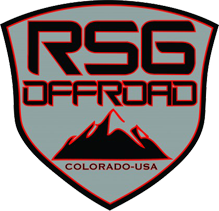 RSG Offroad specializes in late model Off-Road applications. We offer multiple different kits from various different manufacturers ex. Toytec, SPC, Teraflex, Fuel Offroad, AEV, ARB, Bilstein, FOX, FabTech, Nfab, Ridgid, JW Speaker, Warn, Rugged Ridge, Powertank, Viair, JKS, Extreme LED, Hi Lift, Toyo, Nitto, BFG! Call us first of your offroad / vehicle accessory needs.